This frame is our favorite of Shaydie so far, and partly of it is the result of a happy accident. We were shooting a high-key fashion styled shoot in KP Studio-1 for Shaydie's portfolio and potentially as her yearbook shot. We made a few images then previewed them on the big screen, and although we liked quite a few we all knew that something special was missing to make the shot really stand out. 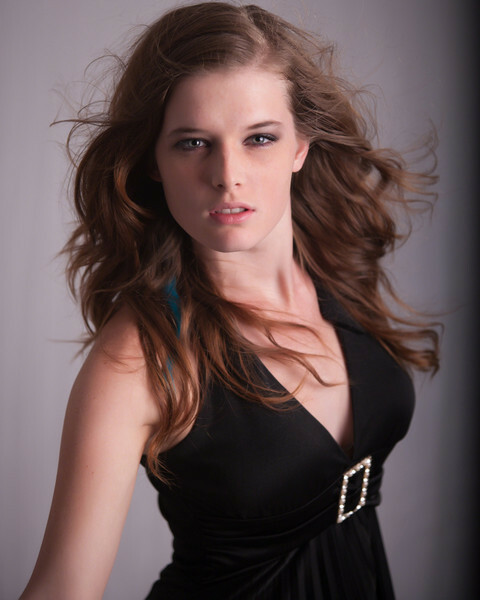 So we went back into the studio, Shaydie amped up the "fierce" and we shot a few more frames in rapid succession. On this, the final frame, the main light was still recycling so did not fire. We probably would not plan to light a fashion shot like a portrait, but the beautiful light falloff and dramatic effect speak for themselves.